There are several apps available for your Android tablet. Though you will have access to the google services that are preinstalled, it would be nice to have choice apps that can make life alot easier and more exciting. Let us check out some of the popular apps for Android tablets. As the name suggests, you can now store different types of files synced in your Dropbox account, PC, tablet and mobile phone. You can customize it the way you want, and it is fully automated. It keeps your Android device totally synced with other devices and even syncs specific kinds of data. For instance when you upload a photo it shows up in all your other Android driven devices. Keep ahead and updated with the latest tech and Android feeds. Stay connected with the content irrespective of where you are located. This easy to use app is a great thing to have on your Android device. 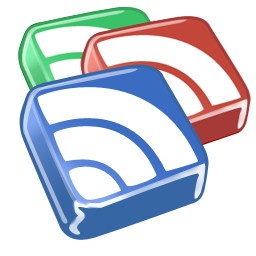 It syncs all your Android devices and keeps your reading lists updated. It does not have to be all work and no play. Relax and have some great fun and browse for the latest news and get the new stories. This visual interface can be used on the Android tablets and phones as well and is something worth having. A must have for everyone, there is no other app that has caused so much excitement. You can use Authenticator to access and handle your LastPass and Dropbox accounts. The two-factor authentication demands that apart from possessing the phone, one needs to have the password as well to gain access to the account. This double security is welcomed by people who carry around sensitive information stored in their Android devices. You can stream personalized radio to your Android device without having to pay any charges. You just need to feed in your favorite artist’s name once and Jango will take over and customize it for you to pull up any time you want. You have wide range to choose from the Top 100. Gain access to Twitter in a personalized manner. This beautiful Android app is totally customizable and drastically changes the way you view and use Twitter. It is brought to you by the creators of Beautiful Widgets. You can colorize your timeline and friends from Twitter and Plume supports multiple Twitter accounts. Previous: UnoTelly Review, The Perfect Service For Bypassing Geofilters!